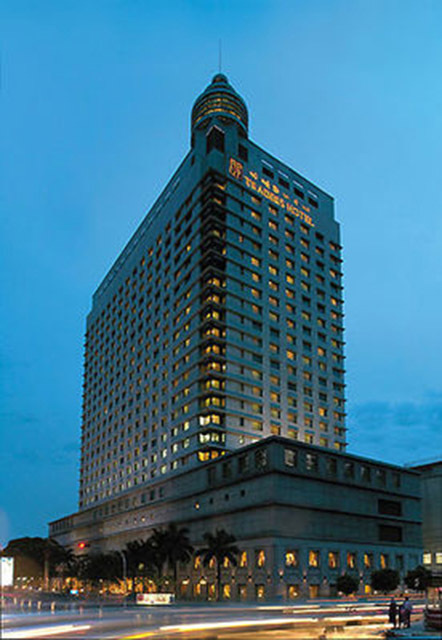 When the Open Heart International Team comes to Yangon, Myanmar, we usual stay at The Traders Hotel, which offers some western comfort and internet access. Let me take you for a little walk to the Yangon General Hospital from the Traders Hotel. Takes about twenty minutes. On the way, one squeezes pass busy street vendors selling food (some cooked right on spot), antique nin-nacs, magazines and books. Across the road, the busy Bogyoke Aung San Markets sells nearly everything. If time permits, this is a lovely way to feel into the street vibe of Yangon before entering The General Hospital. Left: The Traders Hotel where the World Health Organisation also resides. 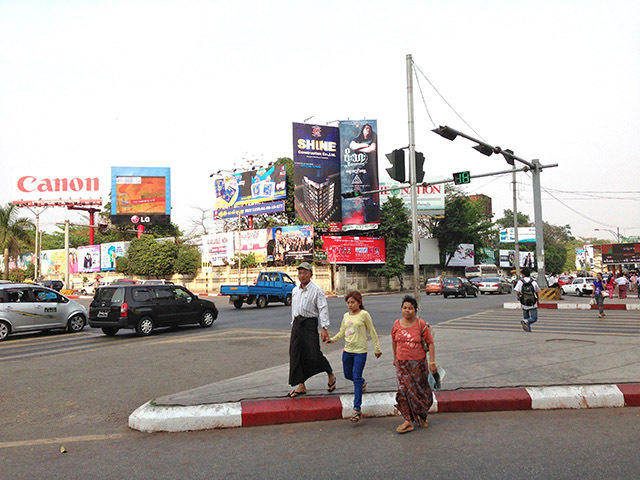 Right: A local family crossing the usually busy intersection, situated outside the Traders Hotel. 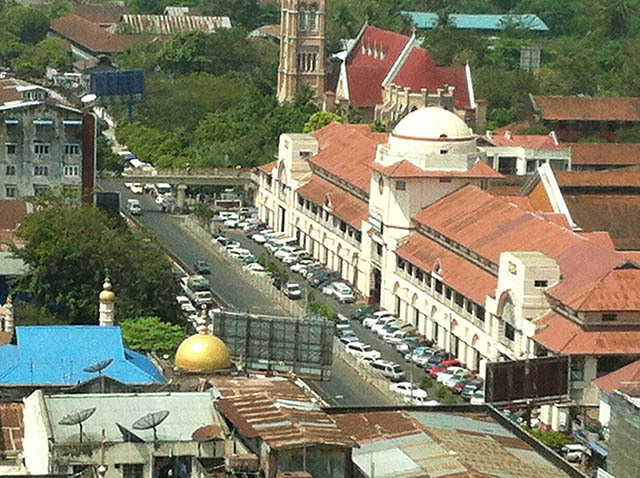 An ariel view of the Bogyoke Aung San Market.